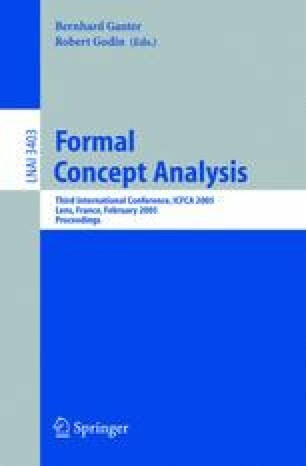 In this paper we report on practical information visualization aspects of Conceptual Knowledge Processing (CKP), realizing and illustrating Wille’s “conceptual landscapes” in the context of developing a conceptual information system to determine surfing conditions on the South Coast of New South Wales, Australia. This novel application illustrates some (if not all) of Wille’s CKP tasks: exploring, searching, recognizing, identifying, analyzing, investigating, deciding, restructuring and memorizing (all but improving). It does this by concentrating on combining an information landscape with maps of the physical world.